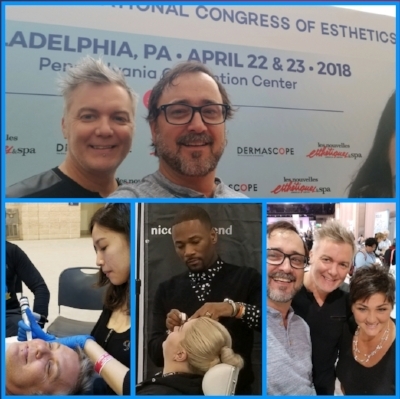 This weekend our Esthetician Lauren, and Balance Hair Spa owners Biff & Thomas attended the International Congress of Esthetics and Spa show at the Philadelphia convention center. They were able to view all the latest trends in skin care and make up along with spa therapies, and attend workshops in the art of waxing, skin care, and make up trends. While there they tried out many new treatments and tools to see what we need for the future in our spa. We can't wait to share with you new things to come.